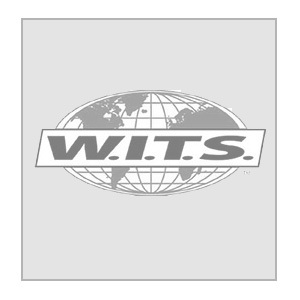 As a service W.I.T.S. has been providing free webinars to assist our alumni and business partners to be their best in the field. Below is a webinar recording for your use. Play and enjoy the additional information. If you would like the 1 CEC awarded to you then go ahead and purchase this 10 question quiz for the nominal fee of $19.95. Upon purchase, you will be emailed a download link to a pdf file containing a link to your online quiz. We will grade the quiz and return the certificate of completion for scoring an 80% or better. The $19.95 is non refundable and in some cases with the new exciting research some areas may have been modified for accepted practices. Always strive to be up to date and your best for all of our clients. Please call us if you have any questions at 888-330-9487. Special note: Each webinar has a standalone quiz for $19.95. Only one try is offered per webinar to pass with the 80% pass ration. If you fail the quiz there is no retest. You can purchase another webinar and get a new quiz. As many of us know aging is changing in the United States. Personal trainers should not only reflect the changes, but also be apart of the conversation. Learn how you can provide top notch training to older clients and help move our evolving approach to the third stage of life in new, more positive directions. Andrew Schaeffer is a Certified Strength and Conditioning Specialist and a Level 1 Functional Aging Specialist. He is currently a trainer in Manhattan. All of our online courses have 6 month full 24/7 access to complete your online program. The experience is awesome, simple and very digestible for the novice fitness enthusiast.